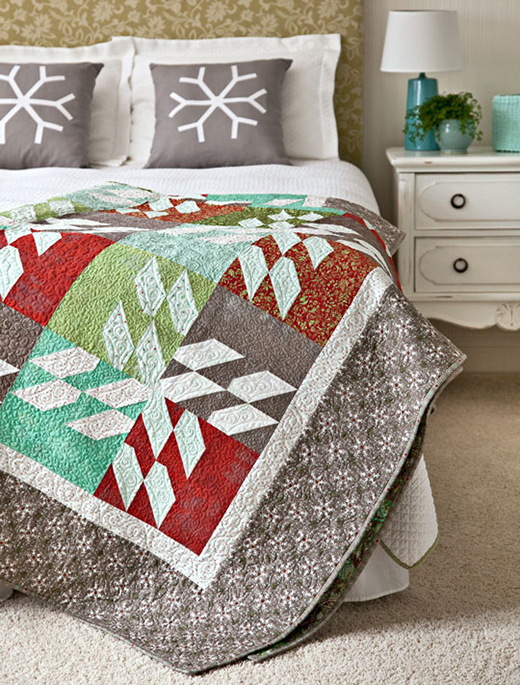 An abstract snowflake block is so quick to piece you’ll be able to make a bed-size quilt in a snow day or two. Fabrics are from the Blitzen collection by BasicGrey for Moda Fabrics. This Blooming Blocks Wall Hanging Quilt Designed by Jocelyn Ueng of It’s Sew Emma for Allpeoplequilt.